This range was found boarded up in a room that had been used as a dentists surgery in Batley. When we arrived the range was evidently in very poor order with parts missing, damaged or simply corroded so badly that they were as thin as paper. We removed the range, took it back to our workshops and after a lot of work were able to reinstate it in the same fireplace. Much to the delight of our client we lit a fire before leaving to test the range and demonstrate how it works. 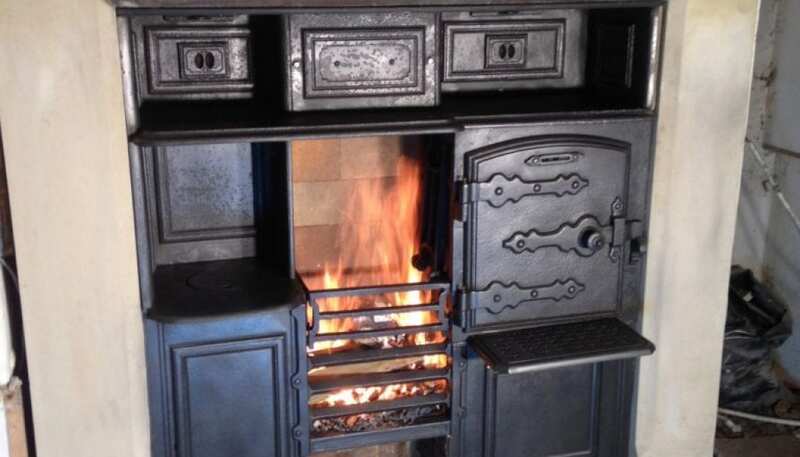 It was the first fire lit in its grate for over 80 years.